Ok, so I’m in! 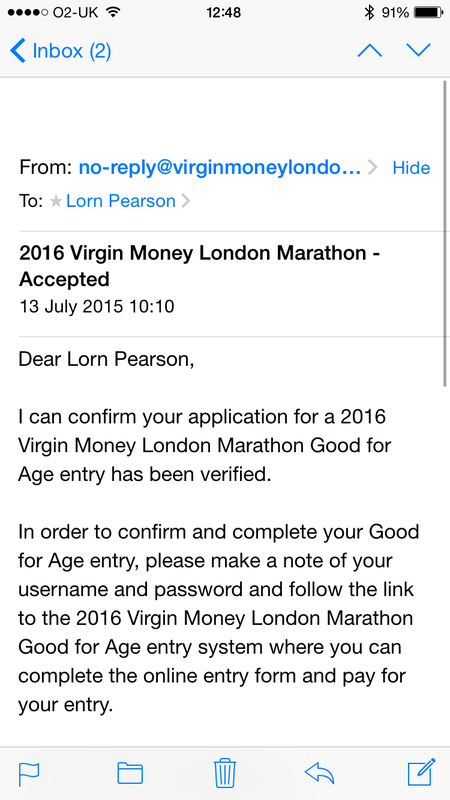 I got accepted to run the Virgin London Marathon in April 2016! All I need to do now is log in and pay for my entry! (And train for it). Eeeeeeeek.